The Alleyway Theatre created a "Playwrights Circle" to nurture and develop local playwrights. Members include j. Snodrass, Bella Poynton, Mark C. Lloyd and Jennifer Tromble each of whom has one new one-act play as part of Buffalo Quickies 2019 with the other four selected by Festival Director Joyce Stilson from over 280 scripts (note adult content). 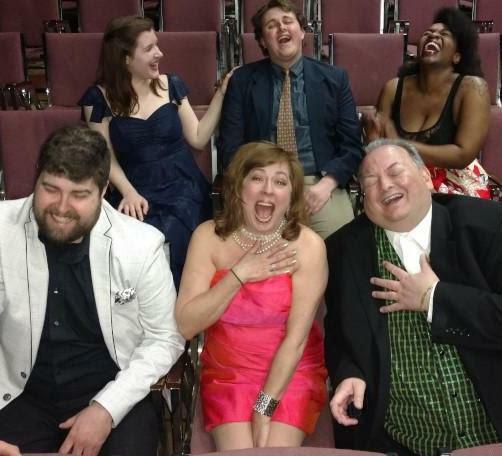 Six intrepid "Quickies" actors (Stephanie Bax, Andrew Zuccari, Dylan Brozyna, Shawnell Tillery, Jaimee Harmon and Mike Starzynski) will tackle 18 characters at the Alleyway through May 4. That's what's happening right now, but for a "fabulous" (there is no other word) visit to 1960s and 70s, meticulous care and a big budget have been allocated to FOSSE VERDON, a television series about the marriage and career of dancer/choreographer/director Bob Fosse (Sam Rockwell) and dancer actress Gwen Verdon (Michelle Williams) with sensational dance routines. It airs Tuesday nights on FX. THE SECRETARY, comedy by Kyle John Schmidt presented by The Brazen-Faced Varlets, directed by Lara D. Haberberger, starring Heather Fangsrud, Stefanie Warnick, Davida Tolbert, Jeannine Giffear, Jamie Nablo, Caroline Parzy-Sanders. Apr 13 at 8 & Apr 14 at 2. Alleyway Theatre’s Main Street Cabaret, 672 Main St. (598-1585).